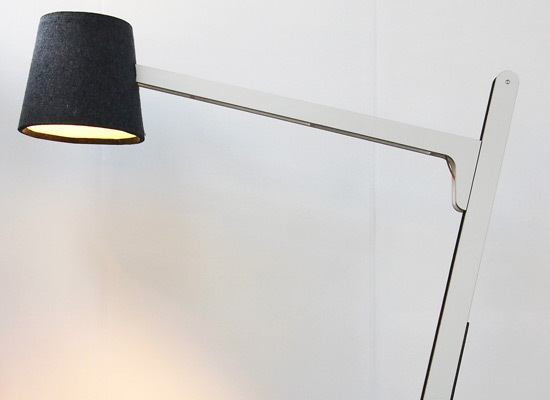 Boom is an oversized, adjustable floor lamp made from melamine faced plywood with a 97% wool felt shade. The striking design was born from the designers exploration of scale and adjustability, creating a novel movement mechanism that can adjust the height of the lamp from a towering 2m down to 1.2m for more intimate spaces. This statement piece will feel at home in any contemporary domestic or commercial environment.